As soon as I got my post up yesterday and started commenting on other blogs, I found my friend Kimberly's post where she introduced herself. I loved it. 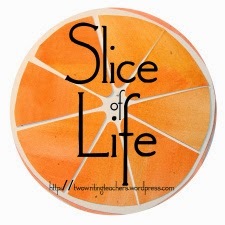 What a great way to start - especially since not everyone participating in the Slice of Life Challenge knows me and my blog but also because I want to tell my story this month. I'm still 34 but I'll be 35 in June...which feels super close actually. I know lots of people get caught up on age and maybe it's because 35 is still young, but I totally don't feel bad about getting older. I have a few friends who turned 50 in the last year or so, beautiful, vibrant women who I look up to and help me know that I have a whole lot of life to live even when I get to 50. So bring it on, 35. I grew up in Lake Forest, Illinois, a quaint town about 30 miles north of Chicago along Lake Michigan. My parents rented a little apartment on the west side of town (that's away from the lake - the lake is always east). I'm going to save a post to talk about my dad and another post to talk about my dad but I was lucky to grow up with both of my parents and to still have them in my life today. They are still happily married and probably the strongest rocks in my life. I know I can count on them no matter what and that they'll help me through absolutely anything. That's pretty awesome. I also have a sister who is younger than me and a half-brother who is older than me. I'm married to a PE teacher and we have two boys: Peanut, who will be eight in May, and Little Bean, who will be five in July. Peanut is in 2nd grade and Little Bean will go to Kindergarten in the fall. We live a few miles west of where I grew up and both kids were born in the same hospital I was. When I say that, it reminds me just how small our little world is. And as I look through pictures to find which I might include here, it reminds me just how amazing my life is. 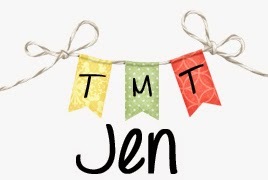 I wrote yesterday about how I'm scared to share my posts this month. I'm scared because the stories I hope to tell this time are different from the posts I wrote when I participated a couple years ago. I wrote about our trip to Disney World and losing socks in the dryer. I'm an optimist. I look for the positive in every situation and try to find the best in everyone and everything. For me, it isn't worth dwelling on the negative. Without a doubt, I know how great my life is and there isn't a day that I don't stop and think about how grateful I am for everyone and everything in my life. But there are all sorts of things that I've experience in my almost-35 years that shape who I am today and that's what I'm planning to explore this month. Thanks for stopping in!